Grand Canyon Theological Seminary doesn’t officially get started for another month, but its reputation already is off and running. 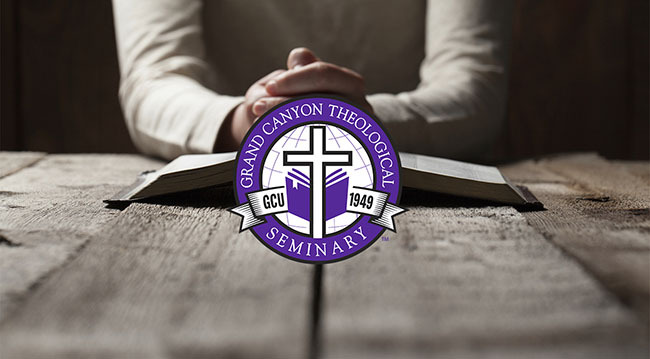 The prestigious Association of Theological Schools in the United States and Canada (ATS) recently made Grand Canyon University’s newest academic offering an associate member. The next step is full accreditation, which normally takes at least two years. GCU’s interdenominational Seminary already was accredited by the Higher Learning Commission, but the ATS is significant because it focuses solely on professional and academic degree programs in ministry practice and theological disciplines. Its members include more than 270 graduate schools. GCU representatives first attended an ATS conference in 2012 and then returned two years later. The University applied for associate member status in August 2015, and two ATS representatives — Lori Neff Larue, director of accreditation services, and Tom Tanner, director of accreditation and institutional evaluation — visited the campus in February. “We had a very positive visit and a very encouraging response,” Hiles said. Bolstered by the support of six ATS member schools, the GCU contingent — Hiles and Anna Faith Smith, the COT assistant dean, and Dr. Dan Diffey, assistant dean of the Seminary — attended the biennial ATS conference last month in St. Louis. They were ecstatic when they learned of ATS’ decision shortly afterward. “When people who are accreditors of the academic community take a close look at you and say you have quality programs, that’s a big deal,” Hiles said. “We already have that through the Higher Learning Commission, so that says a lot about how hard we work to make sure the programs are of high quality and how we measure what we’re doing. It says we’re regularly obsessing, we’re evaluating and we’re making strides toward quality improvements. 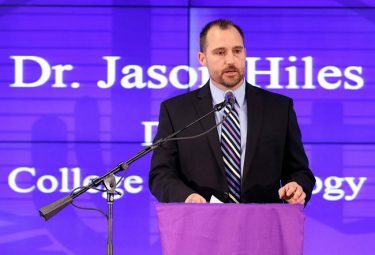 The Seminary will teach the same doctrinal principles and Biblical truths that GCU embraces but also will incorporate two things not shared by many other similar institutions: a vibrant campus atmosphere and the opportunity to do outreach in the community. Internship opportunities also will be available. Hiles said that, as a result of the ATS input, the Seminary already has made adjustments to several programs, such as adding supervised ministry requirements to the master of arts degree and increasing the emphasis on spiritual professional formation in the master of divinity program.